FAIRFIELD, Calif. (KGO) -- A Fairfield couple has been charged with everything from child neglect to torture after police say they discovered their 10 children living in squalor. "This is absolutely appalling," Ina Rogers said, standing in the doorway of her Fairfield home while giving reporters her reaction to charges she and her husband abused, even tortured, their 10 children. "I strive, I thrive on being a good parent to my children," Rogers said. "My husband has a lot of tattoos. He looks like a scary individual, and that's why people are so quick to judge him. But my husband is an amazing person. I am an amazing mother." Rogers showed reporters the inside of her home, which she claims was left messy by police after their search. All of the children sleep on the floor in one room. Fairfield police arrested Rogers' 29-year-old husband Jonathan Michael Allen on Friday after a six-week investigation. He's been charged with nine felony counts of child cruelty, and seven of torture. "The children described incidents of intentional abuse resulting in puncture wounds, burns, bruising and injuries consistent with being shot by a pellet or airsoft gun," said Lt. Greg Hurlbut. 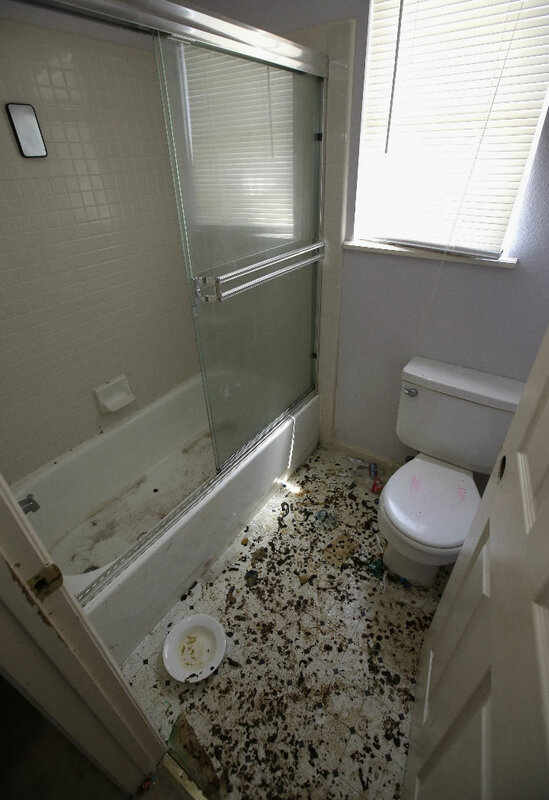 Hurlbut added that police found filthy conditions in the home shared by Rogers and Allen. She said at a news conference that "torture occurred in this house" and it was carried out "for sadistic purposes." She declined to elaborate. Rogers says she got pregnant when she was 16 years old. The Fairfield resident went on to say that she has 11 biological children ages four months to 14 years old. Three she had before meeting Allen and eight more in the past 10 years. She says she home schools the children, while working full-time as a medical technician. "Not only do I have 11 children and I'm 30 years old, but I also homeschool all of my children and people don't agree with that lifestyle and so I've had many people question my right to parent and I just feel like this whole situation was exploded," Rogers said. Allen was arraigned Monday afternoon in a Solano County court. He is being held on $5.2 million bail. The children have all been placed in the custody of Rogers' sister and mother in the Bay Area. All 10 children were initially taken into protective custody by Solano County Child Welfare Services. With the assistance of Child Welfare Services and the Solano County District Attorney's Office, detectives with the Fairfield Police Department's Family Violence Unit initiated an investigation. Officials say the investigation revealed a long and continuous history of severe physical and emotional abuse of the children. As a result of the investigation, an arrest warrant was issued for the father of the children and served by detectives on Friday, May 11 at 8:30 a.m. at the family home.